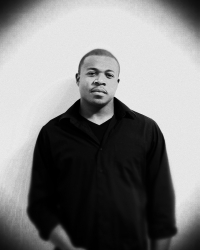 Born in Aliquippa, Pennsylvania, Marcus Cox is an aspiring Stand-up Comedian whom is passionate about his craft. Marcus has the ability to light up any stage with laughter, his witty, warm and powerful delivery. Marcus began his career in Stand-Up Comedy at the age of 25 after his first Amateur Stand-Up appearance at the Pittsburgh Comedy Club in 2011. Currently, Marcus is headlining, hosting, promoting and performing at comedy clubs in the Pittsburgh, Michigan, and Ohio areas. Marcus has appeared in Comedy Festivals including: LaughFest 2015 (Grand Rapids, MI) and the Cleveland Comedy Fest (Cleveland, OH). Also, Marcus has won many competitions in the Northeast Ohio area along with performing at Comedy Clubs such as: Pittsburgh Improv Comedy Club, Funny Farm and Funny Stop Comedy Club. He is known for his upbeat, charismatic, and hilarious personality with a love for comedy and bringing laughter to those around him. In addition to improving and furthering his career in Standup Comedy, Marcuss current goals are to bring the awareness to local comedian talent in his hometown area and bringing back originality to the art of Comedy.